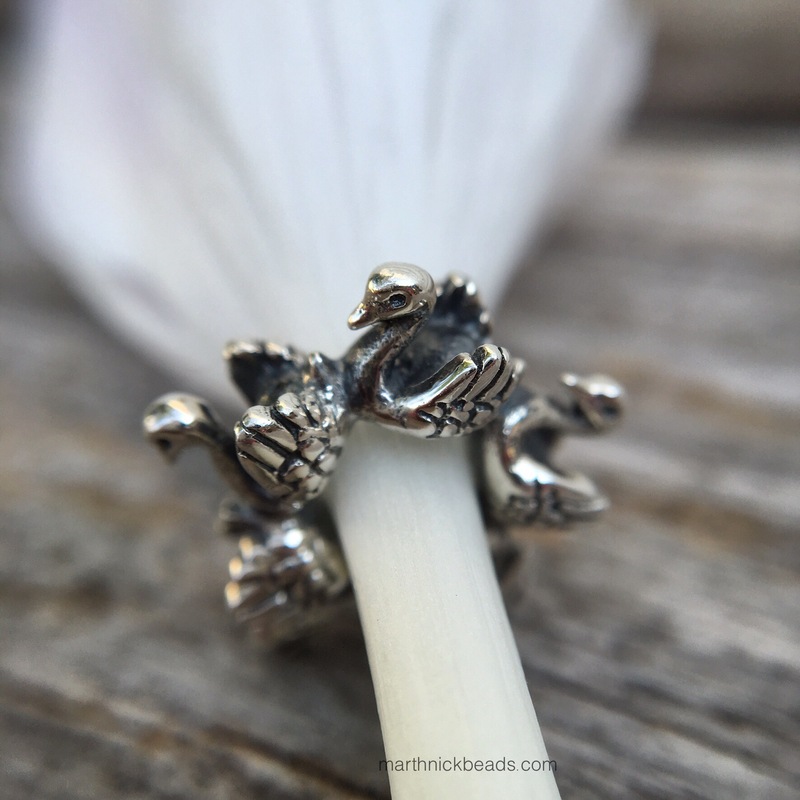 Today I’ve got a sweet little Swans bead made by Elfbeads as a special edition for Perlen. As an oboe player, a swan means one thing, the ballet Swan Lake with music by Tchaikovsky, because there’s a beautiful oboe solo which I bet most of you would recognize. Years ago I had the privilege of playing a concert of ballet music while some of Canada’s top ballet dancers performed in front of the orchestra. During the oboe solo I was able to sit and watch (I was the second oboe player and just had rests) while the ballerina came in from the side of the stage, as Odette. It was as if time had stopped and to this day I remember how incredibly elegant yet powerful her arms were as she made her way across the stage en pointe, moving as a swan flapping its wings. Obviously I had to try for a ballet themed combo or two. To begin with though, here’s a macro shot of the bead all by itself. I think the detail is really lovely. Since it’s a fairly small bead, I thought it might suit a couple of Pandora Geometric Facets, made of Opalescent Pink Crystal. Here’s what it looks like from a different angle. 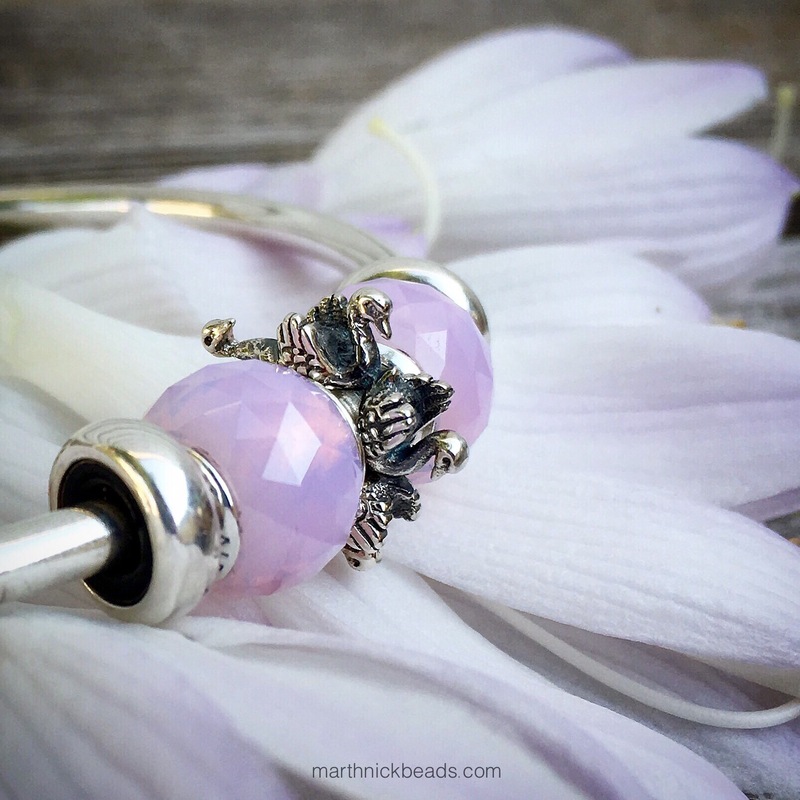 And then to continue with a pretty tutu theme, I added in a Trollbeads Milky Quartz and Connected Love Spacer. The Swans bead really looks best from the side, I think. 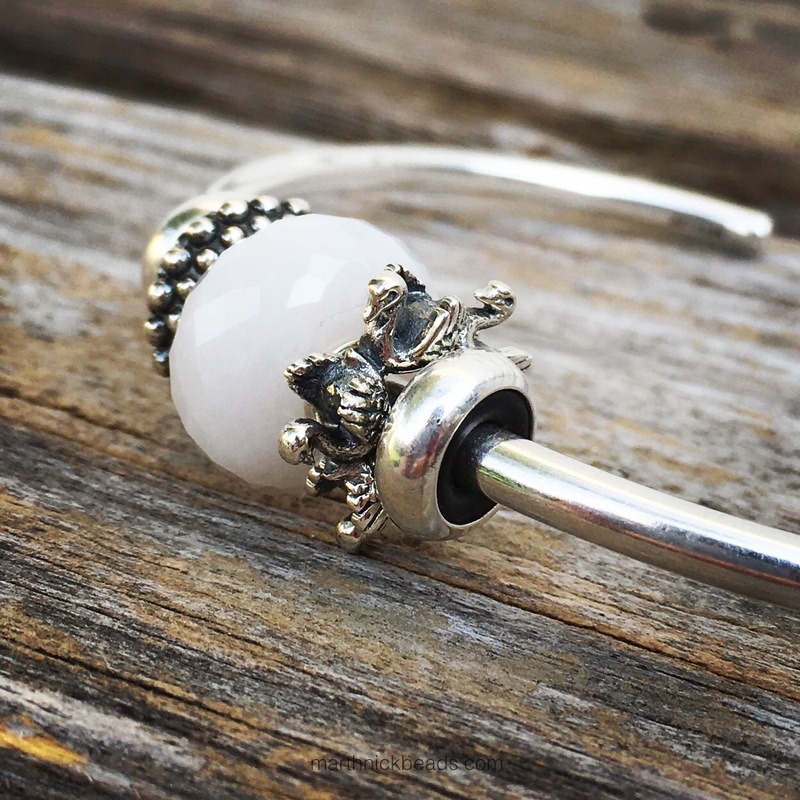 I like this bangle below, with the Swans bead being right beside a stopper so you can see it better. Also I wanted to try a combo using white and black to represent Odette and Odile, the white and black swans of the Swan Lake story. 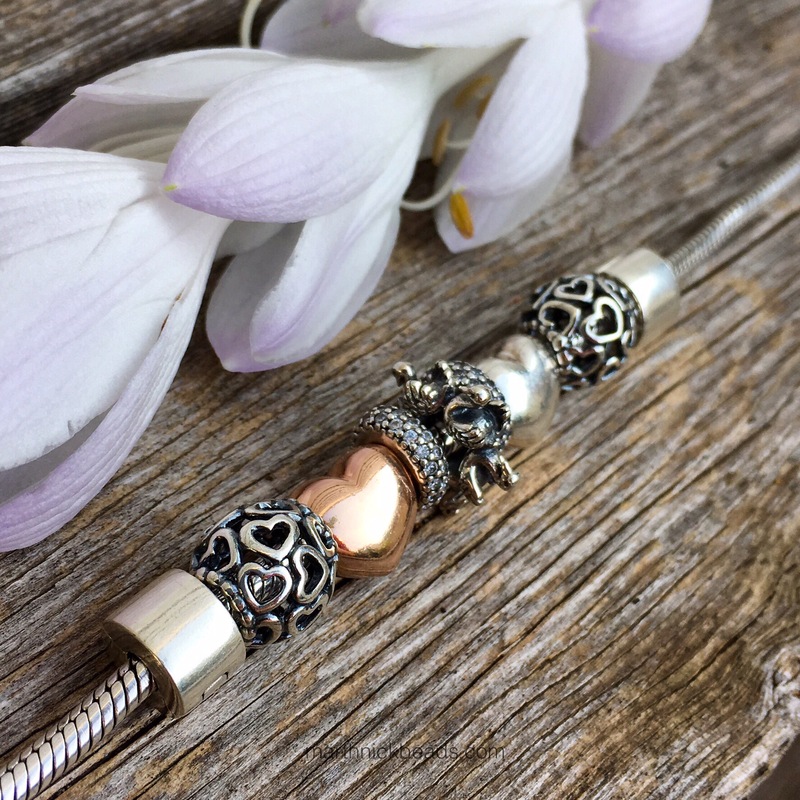 Left to right below are the Trollbeads Sweet Berries Spacer, White Steel, the Elfbeads Swans, Trollbeads Black Silk and Connected Love Spacer. 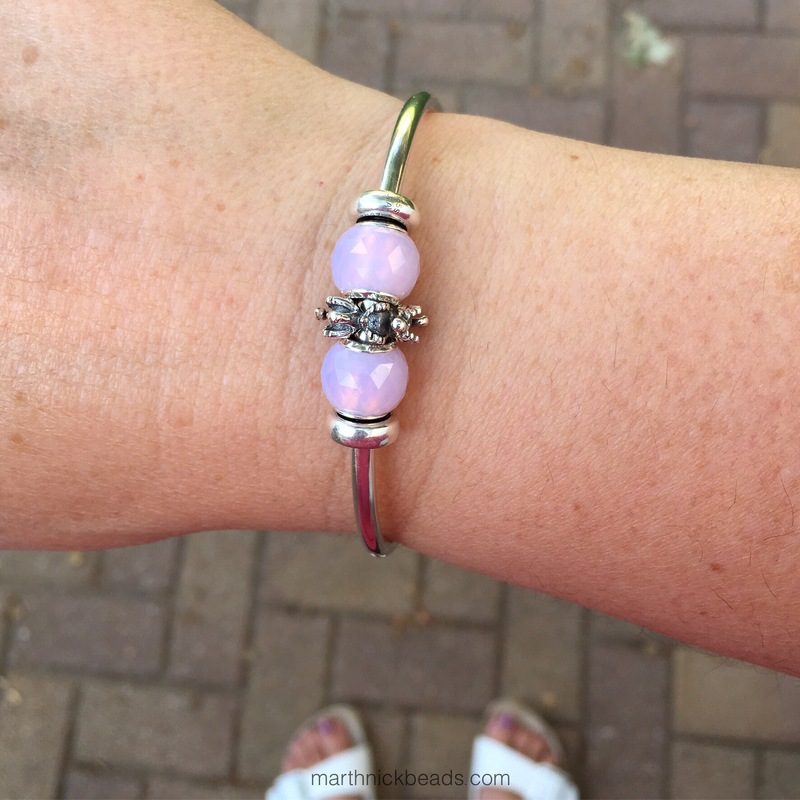 Elfbeads also fit on Pandora bracelets, so I gave it a try, as seen below. 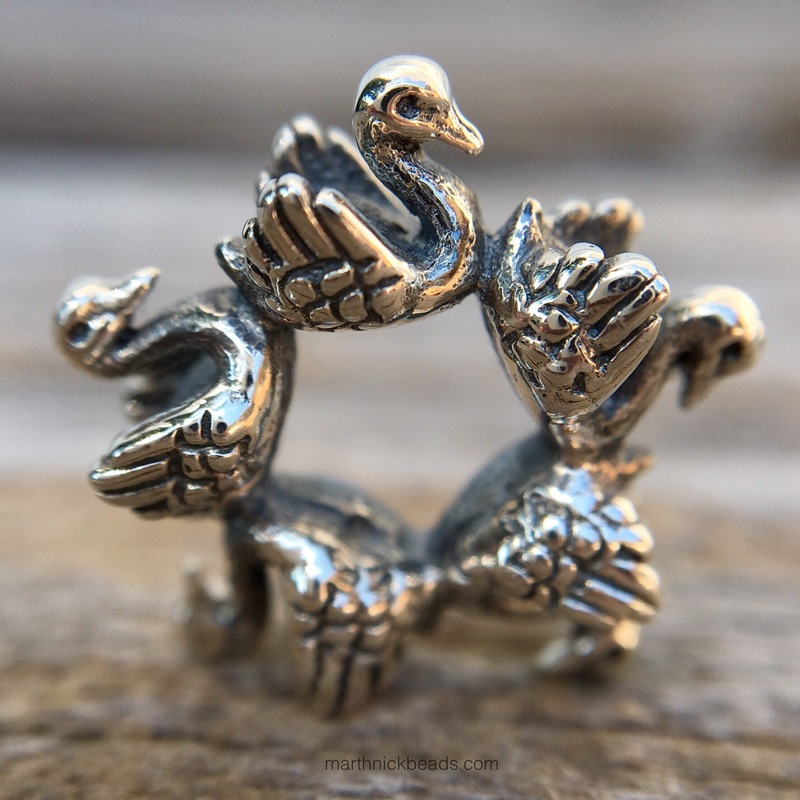 Here’s a final look at the Swans bead. I think I will mostly use it with the small Pandora Geometric Facets or on a simple bangle with just one bead. Also, the Elfbeads Ducks would go nicely with this for a delightful water friends theme! Coming up Wednesday is the Trollbeads Feldspar Azurite Rock. 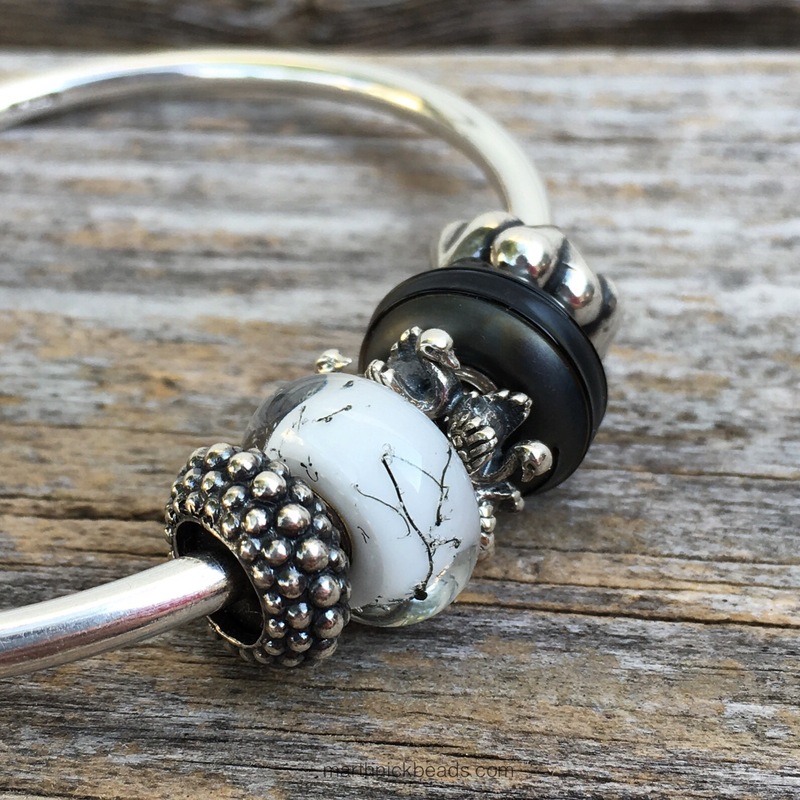 I have this bead and love it. As you say, it’s small and shows to best advantage when seen from the side, but the detailing is just marvelous. I’ve been really pleased with the quality of all the Elfbeads silvers. Their designs are lovely, ranging from fun fantasy themes to cool abstract designs, and the execution is always really well done, with nice, crisp detailing. I really like the detail on this bead, Kim. Have you decided what beads you’re going to wear at the Bash? This is what I’ll be thinking about this week, ha ha! I have a few Elf bracelets put together now, but need to go through my beads and put together a few more combos. Of course, I guess it would help if I tried to pack and decide what to wear, lol. Well, I’ve got three nights to do it – no problem, right? 😉 (Which means I’ll be frantically shoving stuff in a suitcase Thursday night). Hi Martha! 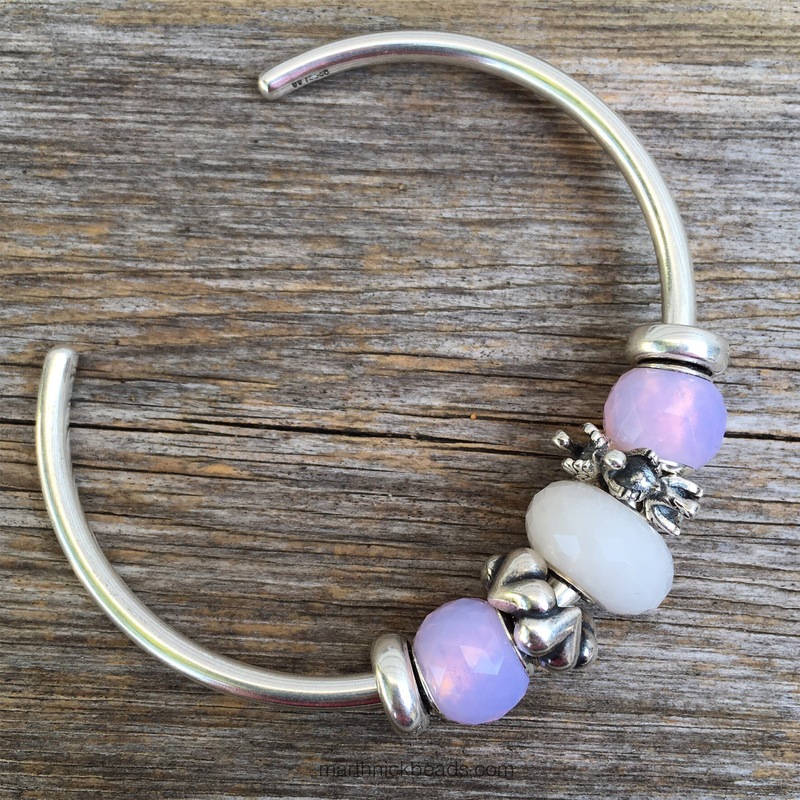 This bead is in my Perlen’s wish list! I loved the black and white combo! Good week ! Hi Carla! I really like it with black and white, too. Have a good week yourself!